Today, January 21, JoVE, the Journal of Visualized Experiments, published a modern approach to a famed experiment that explored one of the most intriguing research questions facing scientists today—the origin of life on earth. The protocol, titled Conducting Miller-Urey Experiments, is comprised of a modern and simplified approach to the method used by Dr. Stanley Miller and Dr. Harold Urey in 1953. 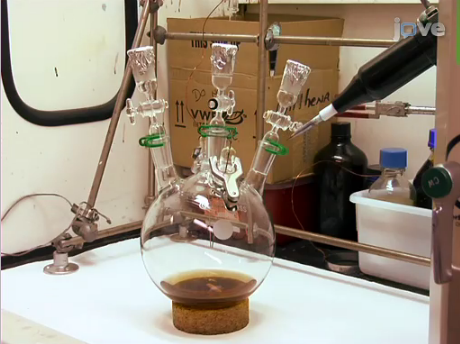 Their research evaluated the possibility of organic compounds important for the origin of life to have been formed abiologically on early Earth. "The results of this study showed that amino acids, the building blocks of life, could be formed under primitive Earth conditions," said Eric Parker of the original Miller-Urey Experiments. Parker is one of the researchers behind the simplified procedure, which he and his team developed at the Georgia Institute of Technology. Scientists from NASA—one of whom, Jeffrey Bada, was once a student of Dr. Miller's—and the Tokyo Institute of Technology were also involved. "Miller was hesitant to encourage people to repeat the experiment due to the risk of inducing an explosion," said Parker, explaining why his lab chose to publish their version of the experiment in JoVE's signature step-by-step video format. "Often times, after reading a methods description it may not be fully clear how a certain research task was carried out," he said, "...Therefore, this article was written to inform interested researchers how to conduct the experiment safely, in part, by giving precise instructions on evacuating [ignitable gasses like oxygen, methane and hydrogen from] the reaction apparatus before initiating the spark." 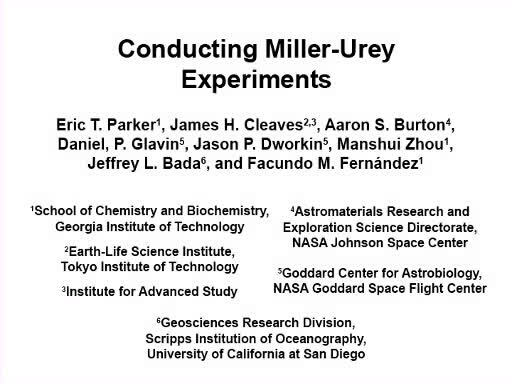 Despite these dangers, Parker said, there remains much interest among scientists to recreate the Miller-Urey experiment and to perform variations of it for testing new research ideas. He and his colleagues are preparing to publish a second article comparing their novel spark-discharge experimental results to original samples from the 1958 Miller-Urey cyanamide spark-discharge study that followed the landmark paper. In the meantime, Parker and his colleagues hope that their JoVE video will encourage more research with Miller-Urey type experiments. Such efforts could help answer key questions in the origin of life field, such as which prebiotic conditions may have facilitated the synthesis of specific organic compounds believed to be important for life, Parker said. Chirality of DNA, proteins and folding thereof. and the biggest hurdle ... breaking the Law of Biogenesis. Miller-Urey experiments are now mainly of interest for the pure RNA world theory, an RNA first theory. The theory that has phylogenetic support all the way to geochemistry is the dirty RNA world theory of alkaline hydrothermal vents - our most distant cousins. E.g. homologies of: cells, membranes, CHNOPS relative ratios, pH balance, chemiosmosis balance, chemiosmosis import, metabolic chemistry and (the key factor) electron bifurcating metal centers. And aside from reactor configurations, there is little to learn here. As far as I know, the imported phosphates and NO (in the most likely basal metabolism) are mainly products of volcanism, not lightning. @matt: There is no "the Law of Biogenesis" in biology what I know of. Besides, Lane, Martin, Russell et al has established the phylogeny that reaches all the way back into geochemistry. As of 2013 there were no longer any biological hurdle there. Rather, a new question: how did RNA get involved in the established tree? To address "biogenesis": It's really difficult to actually distinguish "what is life?" Are viruses life? 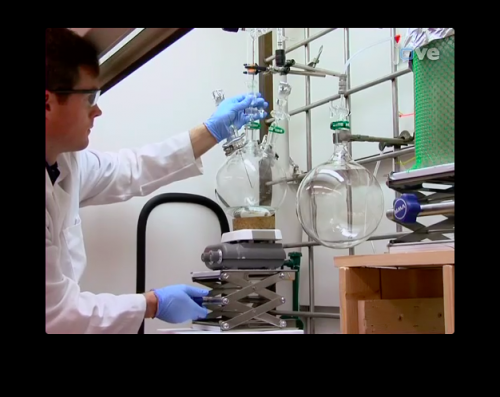 Are chains of self-catalyzing chemicals life? There are a lot of precursor chemical patterns that can happen as non life, and then we draw an arbitrary distinction at some point to start calling it "life." This sequence, in its broadest strokes, is pretty well known. The fine details, as TLOM goes into above, (RNA world vs. proteins etc.) are yet to be found, but we expect we shall. And research like this can help us get there. As for chirality of molecules, there's some speculation that the way organic molecules "bind" to clays and such that would have formed the early pools of life favored one handedness over another. It would be interesting to see if, for instance, Martian compounds from living things (should they exist) exhibit the same handedness, and if that is related to similar rock structures there. It will be interesting to know how the universe works in the overall encompassing concept of life. My guess is that chemistry is "biased" so that life is an emergent property of it given the "correct set of conditions". I base this on the fact that all the evidence suggests that as soon as life could possibly manifest on Earth it did. But the alkaline hydrothermal (vent) theory has these homologies as I note. Cellular, electron bifurcating, alkaline geochemical systems are then sufficiently alive (with biochemical systems a subset) for evolution (either lamarckian or darwinian) to take place. There is still a fuzzy limit problem, but the problem is now not on the biological (darwinian evolution) side. FWIW, and since I have to know this by tomorrow, the likelihood that the 8 homology traits I've tentatively ascribed to Russell's AHT would be independent are at least (from just picking them, not all possible) (1/8)^8 ~ 1/20*10^6 ~ 6*10^-8. I.e. the apriori likelihood that this theory is erroneous is far, far less than 3 sigma. That doesn't mean it is the only remaining abiogenesis theory. But I don't think the other theories are testable as of yet.